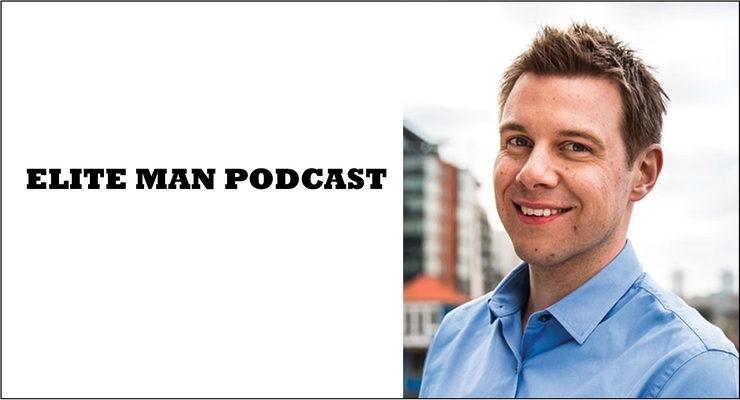 Tony Wrighton, Sky Sports presenter, author, and NLP trainer and master practitioner, joins our show in this special episode of the Elite Man Podcast! In today’s episode Tony breaks down Neuro Linguistic Programming for us and talks about its many practical implementations in daily life. He talks about how it works, the many applications of it, and how to use it right away to improve your life in a vast number of areas. Whether for confidence, fears, dating, sales, or interpersonal persuasion of virtually any kind, NLP can assist greatly, and Tony shows us exactly how. If you’re wondering how to use NLP to improve your mental and emotional wellbeing, and increase your day-to-day success across all areas of life, check this episode out now! *If you wear contact lenses and find yourself dreading that annual appointment to renew your prescription then you’re going to love Simple Contacts. It’s a fantastic new company that makes this annoying process very… well, simple. Simple Contacts lets you renew your expired contact lens prescription and re-order your brand of lenses from your phone or computer in just minutes. Simple Contacts brings the doctor’s office to wherever you are, whenever you need it. You can take the Simple Contacts vision test online in 5 minutes and a real doctor reviews it for you and renews your prescription. You save time, you save money, and you save yourself a major headache. And if you have an unexpired prescription, just upload a photo of it, or your doctor’s info, and order your lenses in just minutes for a great price – they do all the hard work for you! This is vision care for the 21st century. Also, Simple Contacts offers every brand of lenses imaginable, and their prices are unbeatable. The vision test is just $20 (compare that with an annual appointment which can cost over $200 without insurance), they have some of the best prices on contacts, and the shipping is FREE. Best of all, my listeners get $30 off their first Simple Contacts order. To save $30 on your lenses, just go to SimpleContacts.com/elite or enter the promo code ELITE at checkout. I do want to mention that this isn’t a replacement for your periodic full eye health exam, you still need those occasionally, but it is the most convenient way to renew a prescription & reorder your contacts if your vision hasn’t changed. Again, check out SimpleContacts.com/elite to get $30 off you first order now or simply enter the promo code ELITE at checkout. Give it a try & thank me later! *Have you heard of AutoSlash yet? If not, listen up because they are INCREDIBLE and the single best car rental booking site I’ve come across when it comes to finding the best deal on renting a car. If you’re like me and you travel a lot, AutoSlash can be a lifesaver! Unlike other car rental booking sites which offer up “standard rates”, AutoSlash searches hundreds of coupons and discount codes for all the major rental companies to find you the lowest rate possible taking into account discounts you are already eligible for based on your membership affiliations. This includes discounts for members of AAA, Costco, AARP, credit cards and various frequent flyer programs that are free to sign up for. Instead of searching all over the place, and comparing rates, AutoSlash does all the work for you to find the lowest rate possible. Best of all, it’s a free service. Once booked, you can track pricing on your reservation and AutoSlash will keep on looking for better deals right up until your pickup date. Rates often drop as the pickup date approaches, so you can often save a significant amount of money this way. Not only will they check the company you’re currently booked with, but all other companies as well. If they find a lower rate, they’ll email you so you can re-book and save. Many customers re-book multiple times as rates drop and AutoSlash finds better deals. AutoSlash searches all the major rental companies including many discount brands. Renters on average save 30% or more using AutoSlash and AutoSlash saves customers millions of dollars per year. I used to spend hours and hours trying to look up all sorts of coupons from so many different sites. I’ve literally wasted numerous days of my life trying to save money on getting a nice but affordable rental. But now, I don’t have to worry about that at all! Why? Because AutoSlash has my back and they take care of all this for me! And quite honestly, I kind of love the fact that they get to help me, and you, the regular hard-working elite man, save some extra cash, instead of having to fork it over to the massive corporate rental companies. Always a plus!